TS Transco Published an advertisement i.e Advt.No. 05/2017 for Sub- Engineer Jobs to fulfill the dream of a Government job chasers. TSTRANSCO Notification 2018 come up with 100+ vacancies. The interested candidates can check the essential qualifications for the post of Sub-Engineer/ Electrical and apply online for TSTRANSCO Recruitment 2018 on or before the last date. TSTRANSCO Online Applications will start on 20.01.2018. The closing date for filling application form is 05.02.2018. 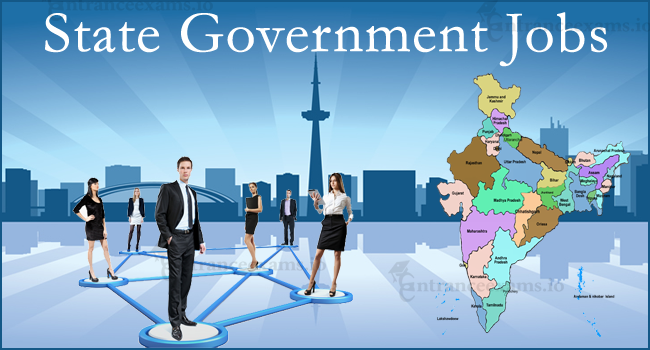 As there is a massive competition for the State Government Jobs, try to apply a day before to the end time. Therefore, the aspirant can get rid of the rush. Here we explored beneficial factors about Telangana State Sub-Engineer Jobs such as eligibility, Job Vacancy, Application link, TSTRANSCO Sub Engineer Notification 2017, etc., Scroll down to check them. For details regarding circle, community wise vacancies check official TSTRANSCO Notification 2018. The worthy candidate who wants to apply for TSTRANSCO Sub-Engineer/Electrical Post should meet the following age limit. A minimum of 18 years and a maximum of 44 years of age, as on 01.07.2017. For clear details, such as age relaxation refer the official TSTRANSCO Notification 2018. Graduation in Electrical Engineering in addition to Diploma. Salary offered for the post of Sub-Engineer in TSTRANSCO Recruitment 2017-18 is Rs. 20,535/- to Rs. 41,155/- plus additional incentives. The Candidate who applied for the TSTRANSCO Sub-Engineer Jobs should participate in the written test. Minimum Qualifying marks for the exam depends on the TS Transco Recruitment norms. Every aspirant has to pay the application. Well, candidates belonging to SC/ST/BC/PH need not pay the examination fee, but they need to pay the application fee. The honorable candidates can check the eligibility conditions and apply online for TSTRANSCO Sub-Engineer/Electrical Jobs 2018 on or before the last date. The closing time for filling TSTransco Online application form is 05.02.2018. As there is tough competition for government jobs try to complete the submission of online forms a day before to the final date. Here we figure out the TS Transco Application process in simple steps. check it out! How to Apply for TSTRANSCO Sub-Engineer/Electrical Job? Click on “Whats New” icon. Read the TSTRANSCO Notification 2018 for Sub Engineer carefully before filling the form. After paying the Fee, the candidate has to visit the website “tstransco.cgg.gov.in” to know the details regarding the application process. Fill the required details and upload the scanned photograph with the correct size. Take a photocopy of application form with reference id after submitting the form. We are studying electrical engineering diploma 3rd year we are eligible are not for this tranco se jobe ????????????? only the candidate those completed the Diploma in electrical engineering are eligible.